Dissolve jello in 1 cup boiling water. Add 3 ice cubes to a cup and fill with cold water. Stir until dissolved and set aside for 5 minutes to cool. Drain oranges and set aside. With elextric mixer stir in instant pudding (dry) to jello, beating until pudding is well mixed. Let stand for 15 minutes. 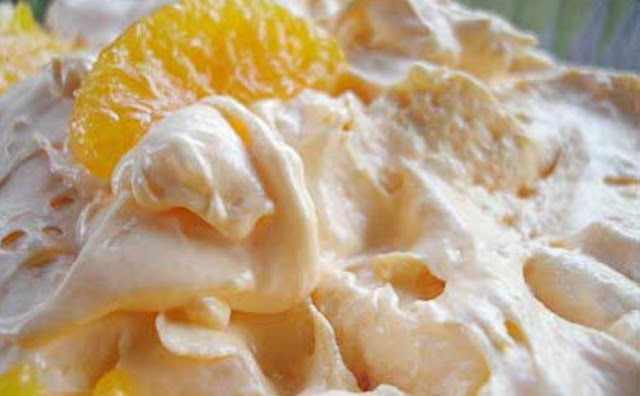 Then fold in the thawed cool whip and then the oranges.